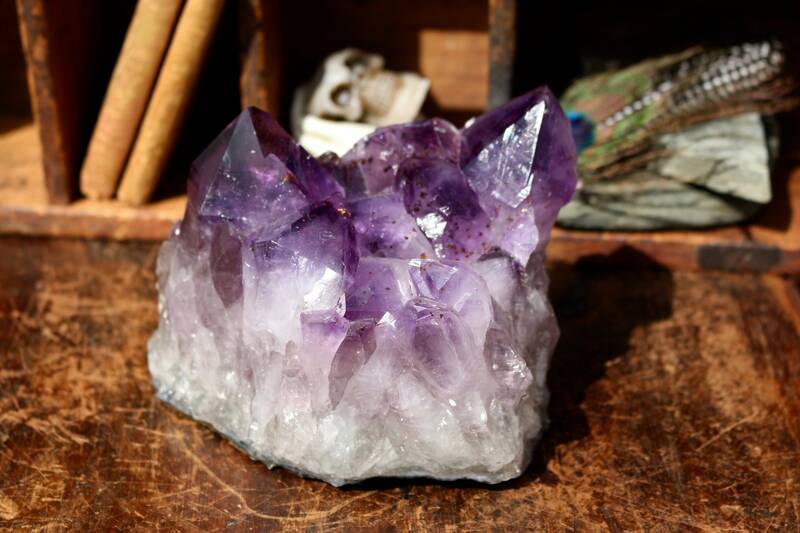 Amethyst Cluster with Extra Large Points 3.8 lbs. 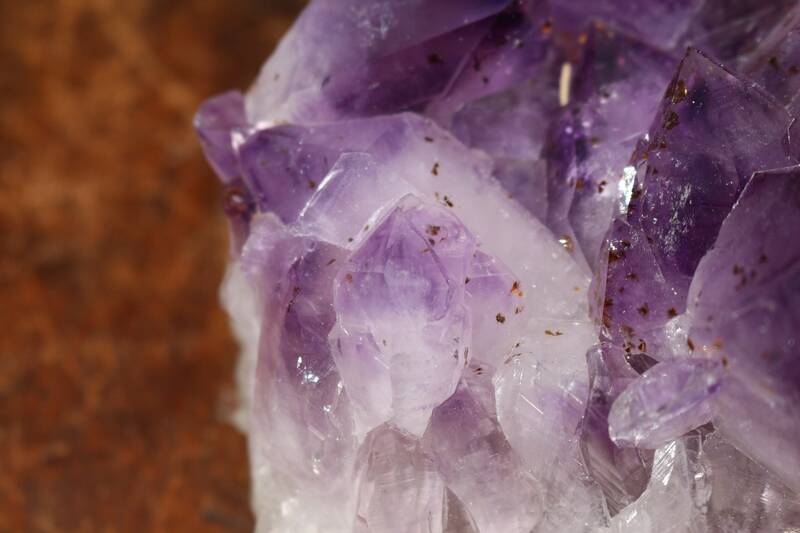 An extra large Amethyst Cluster with large, distinctive points. 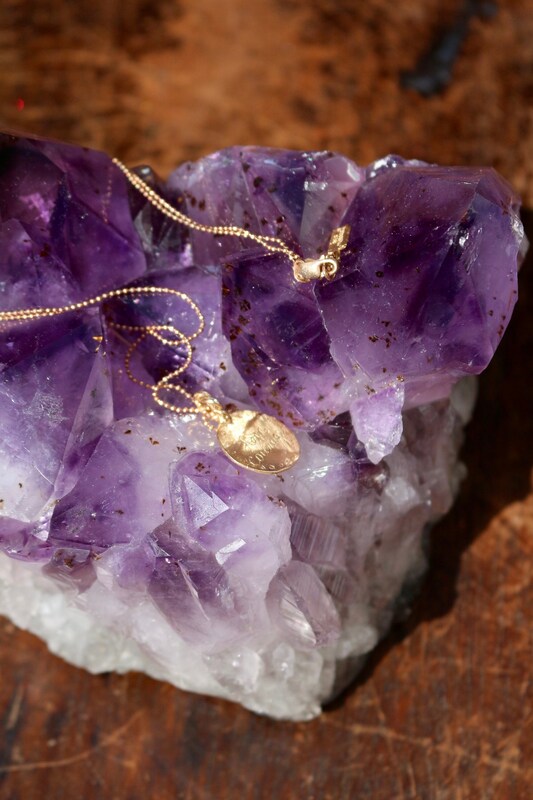 This piece is polished smooth on one side which allows it to be self-standing or you can lay on its side. 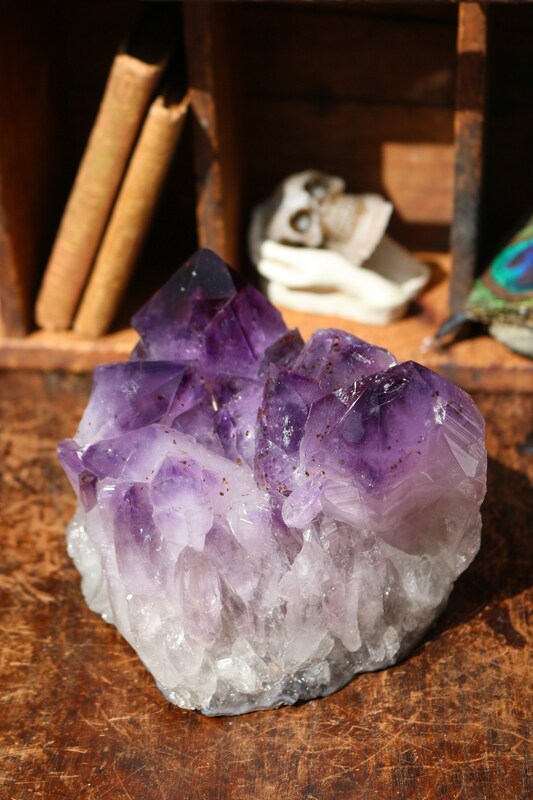 This geode also lays flat which makes it an excellent display piece. 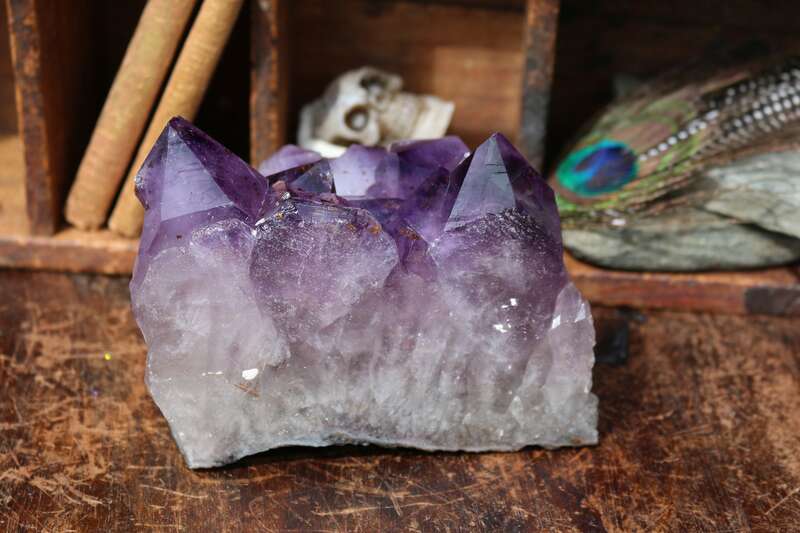 Use to display jewelry, as an altarpiece, place a tea light on the top and watch the crystal points glisten or display the geode on its own. 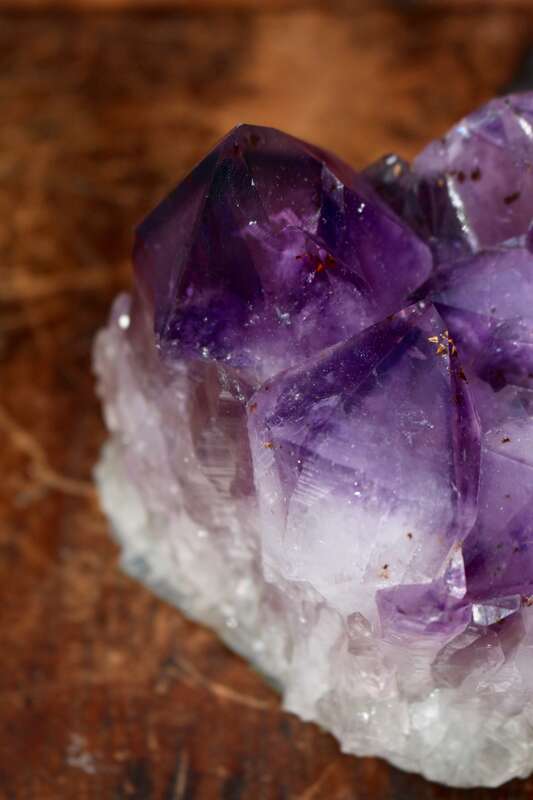 Amethyst is a natural stress reliever that encourages inner strength and brings wealth and a keen business sense to its wearer. 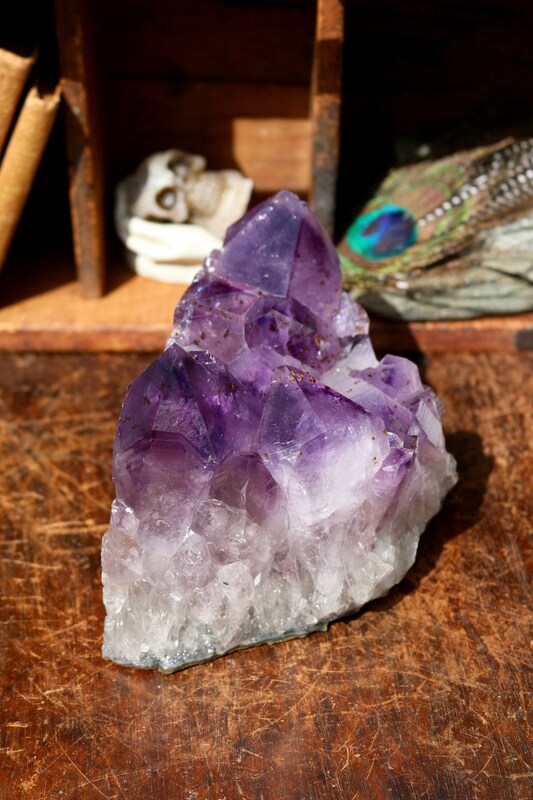 It is a crystal of spiritual growth and protection. 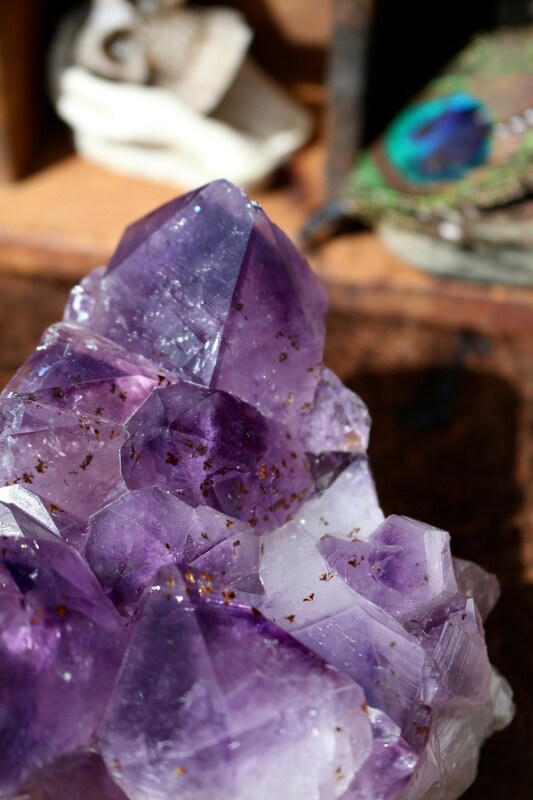 It brings clarity to their owner and helps one to become more in tune with their feelings. 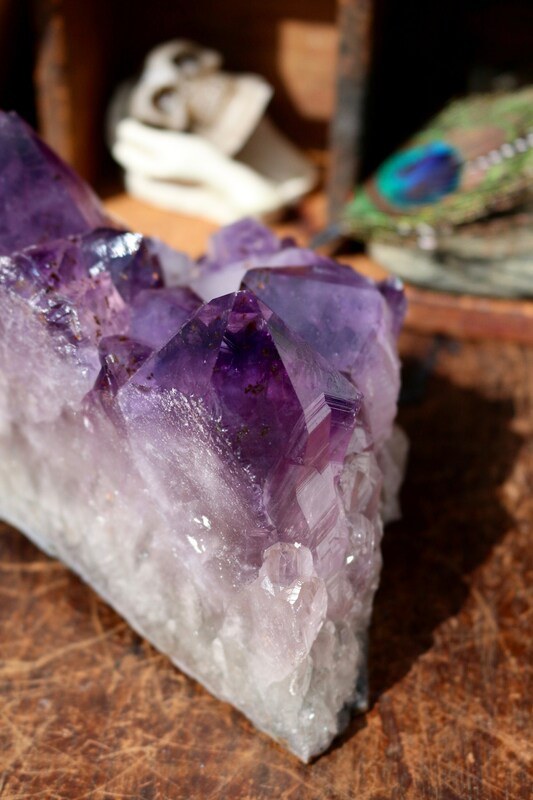 Amethyst Crystals repel negative energy and attract positive energy, making them an excellent protection stone for the home. 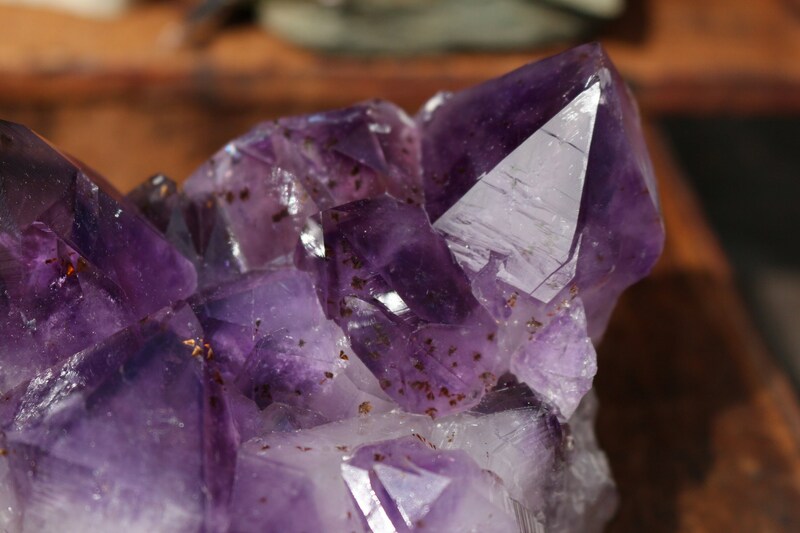 They have one of the most influential powers to rid your home of any negative influence.